For all the pretty speeches and tears and drama and claims and assurances, the policies of the government have consistently put the poor at a disadvantage. 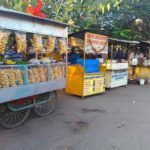 The “sudden” announcement of the demonetisation, which has often been claimed as necessary, but never adequately explained caused a lot more harm to the poor than those relatively well off with access to cards, likelier to have cash and/or afford exchanging notes for a loss and less likely to be living on a marginal stock of food. There appears to have been no hurry to alleviate the very real risks to life even with private hospitals not allowed to accept the demonetised notes till almost two weeks after the demonetisation. Reports of people dying or committing suicide didn’t budge these decisions in the least. The limits on cash withdrawal and exchange were such that a person with a bank account could withdraw Rs.24,000 per week and almost a lakh a month, while a person without a bank account could exchange only Rs.4,000, which was further reduced to Rs.2,000 as a one time transaction. This is in spite of people with bank accounts being able to issue cheques or do online or other cashless transactions in addition to these limits, while the poor were expected to fit their entire expenses into the meagre few thousand they could exchange – this would mean trying to fit house rent, groceries, electricity bill and more into two thousand rupees. In effect, the message was “Jio ya maro” (a pun on one of the Fintech apps being by Reliance Jio). Open a bank account and go cashless or perish. Additionally, rural India does not appear to have got as much cash to their banks at all. District co-operative banks are not allowed to exchange notes, basically meaning that those with accounts only in district co-operative banks are as good as unbanked, with incomes from sale of farm produce in old notes and no way to get them exchanged. Further, corrupt rural banks are trying to raise the cash the government and RBI aren’t sending them by extorting farmers to pay loans with inflated interest. Metros appear to be getting almost all the cash available (and still not getting enough) – likely in an attempt to manipulate public opinion by resolving the problems of those with most voice and most easily accessible to news media. 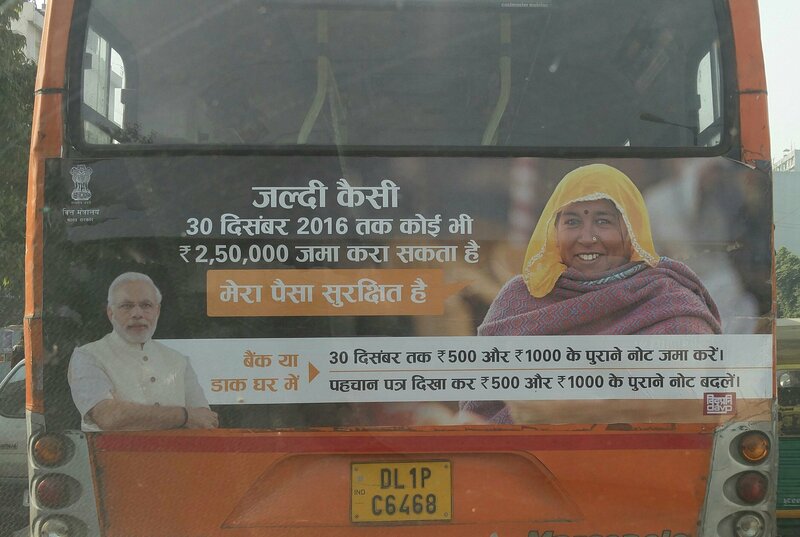 The government even took out ads on buses saying this. Modi’s speech said that the limits on exchange of notes were to be removed after the 24th. Instead, exchange of notes was stopped on the 24th. This has completely removed access for exchange of notes from the unbanked poor. In theory they can open bank accounts, but most banks are too busy to open accounts at this point and ask them to come a month later – by which time he bank would not be accepting their old notes. That was the lie told. Deposit any amount of cash into your Jan Dhan accounts with no questions asked till 2.5 lakh and even then no problem if you can show your income. 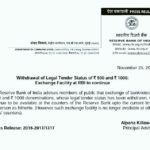 In reality, after most of the cash has already been deposited, the RBI has frozen those accounts and capped withdrawal limits to Rs. 10,000 a month for fully KYC accounts. Take a moment to absorb the implications of this. An account with a full KYC is entitled to be a normal account. Yet because the gullible fools believed this government of con men, the money they put in the bank on the directions of the Prime Minsiter is effectively and openly stolen from them and will be returned on the whim of the thief. This, supposedly is to curb black money. 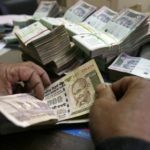 But for all practical purposes, a KYC compliant Jan Dhan account is no more black money friendly than any other normal bank account – which is actually more suitable for money laundering given the many more ways it can transact and be accessed without ever appearing in the CCTV footage of a bank to be traced. 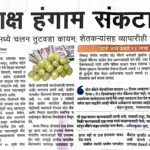 Accounts without KYC documents – that were promoted by the Prime Minister to begin with and the Prime Minister asked people to deposit money into them and told them it was theirs and safe – these accounts have a monthly limit of 5 thousand rupees only. Jan Dhan accounts are opened overwhelmingly by the poor. Furthermore, a government allegedly interested in fighting black money continues to accept unaccounted cash in its own party and there is no news whatsoever of any action against or investigation into the source of stacks of 2000 rupee notes shown to be in the possession of various members of their party – which was impossible to do legally given the limits on exchange and withdrawal. No one should have got bundles of notes and the existence of a bundle outside a bank should have triggered an investigation. But these aren’t Jan Dhan account holders, are they? The deliberate strangling of cash, the limits put on exchange and accounts as well as the promotion of cashless transactions by the Prime Minister himself have resulted in losses up to 90% of daily business for the small sellers in local markets, while people with money who are strapped for cash are forced to buy in places where cards are accepted. When it comes to groceries and vegetables, let us not even pretend that we aren’t transferring business from local traders to retail chains. 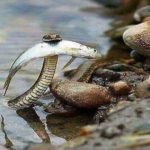 The extensive duration of this planned starvation of cash in the nation will put many of them out of business, effectively reducing resistance as well as competition to big money cronies. So the next time Modi weeps for the camera, remember who else are crying and don’t have cameras focused on their faces.